Little Himalaya is best described as a “salt cave”, founded in November 2016 as an alternative health centre to provide salt therapy (also known as ‘halotherapy’) to those suffering from respiratory issues including Asthma, COPD, Bronchitis, Emphysema and many others. Salt therapy is the use of inhaled salt in minute quantities as a natural therapy of respiratory ailments. It has long been known that salt displays strong anti-inflammatory and anti-bacterial properties. A supplemental benefit of attending salt cave sessions has been found to be significant improvement of many common skin complaints. 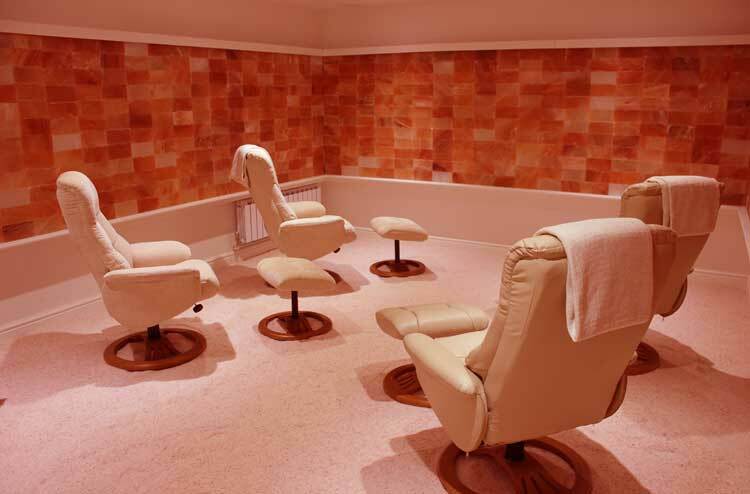 Our standard therapy suite, or “salt cave”, has room for up to 6 people at a time. We offer a range of seating types, from comfortable arm chairs to fully reclined loungers. Everything at Little Himalaya is designed with relaxing in mind, hence you will find yourself beginning to naturally unwind and de-stress within moments of entering the therapy room. Read, listen to some private music, relax, or even fall asleep. Whatever you decide, you will be reaping benefits throughout your session simply by breathing normally due to the atmospheric conditions present in the room. Dry pharmaceutical grade salt is heated and ground into very tiny micro-particles in a machine called a halogenerator. These dry micro-particles of salt are then blown into the air of the therapy room. During the 45-minute session, the particles penetrate deep into the lungs, bronchi, bronchioles and alveoli. Bacteria and pollutants are dissolved as salt enters the lungs and respiratory system by eliminating mucus and opening constricted airways. Extra-deep breathing is recommended where possible to maximise salt inhalation. Try breathing in for a count of four and then breathing out for the same, repeat as much as you can during the session. Where appropriate we can take measurements and records in order to show customers their improvements over a period of time. Rather than simply ‘feeling’ better, we will be able to show, via real, objective measures, that a customer has benefited from visiting our salt cave. Enjoy your first salt cave session for only £12! We are incredibly passionate about Little Himalaya and strongly believe in the benefits of salt cave therapy. In order to help convince you of the value of this treatment, we are prepared to offer an initial, full session at our centre at a vastly discounted rate. 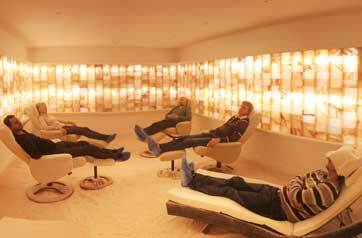 Such is our belief that salt therapy works, we feel that you will want to come back again and again. One session can be of great help but repeat visits help to confer more long term benefits. After the first session, subsequent appointments can be made for £30 each, or a batch of 5 sessions for £25 each. Subsequent child appointments in our upstairs therapy room cost just £25 each, or £100 for 5 sessions. These sessions include a free space for an accompanying adult. Remember that Salt Therapy is an additional therapy. We are not medical professionals and hence do not make recommendations with regards to customers medication. If you are in any doubt you must talk to your GP before taking part in a session at Little Himalaya. 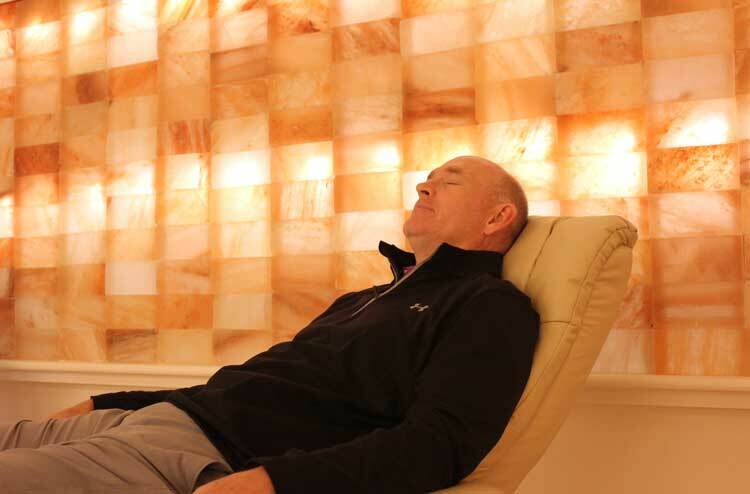 There are numerous studies and a wealth of anecdotal evidence to suggest that salt cave therapy helps with a variety of respiratory and other medical conditions. However, at the end of the day, it is up to you, the customer to decide whether you have benefitted from attending our therapy centre. In May 2017 our second salt therapy room is opened for business and was designed just for kids. The room differs from our main salt cave area in that it is designed for just one child plus an accompanying adult (who can attend for free), so if you book you will have total privacy. The room also features a big TV and DVD player. Kids are welcome to bring their own DVDs from home, or bring books to read or other activities to pass the time. Sessions in this room last for 30 minutes and start at 15 minutes past the hour. To book simply visit our Prices & Bookings page and choose the “Salt therapy session (child)” option. Please note, if you are an adult wanting to use the new suite rather than our main room, perhaps for the sake of privacy or due to the nature/severity of your condition, this can be arranged but please give us a call on 01926 257364 or drop us an email at info@littlehimalaya.co.uk. We will do our very best to accommodate you. First session costs just £12. Subsequent sessions are £30 each or £125 for a batch of five. Private child session (including an accompanying adult) is £12, £25 subsequently or £100 for five. The salt cave at Little Himalaya was founded by local entrepreneur Richard Simmons. 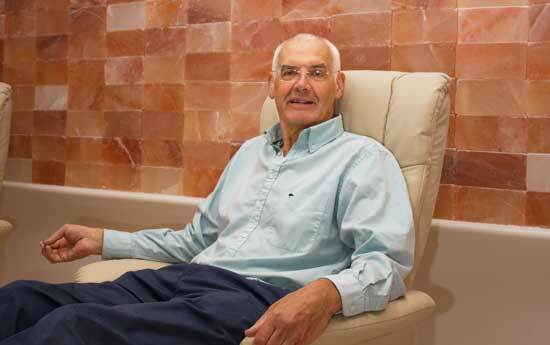 Kenilworth born and bred, Richard has forged a successful career as a property developer, which includes building the Little Himalaya salt therapy rooms themselves as well as the residential development that they sit amongst. Richard’s passions extend well beyond the field of property however- 5 years ago saw him open The MAD Museum in Stratford-Upon-Avon, the U.K.’s first and only permanent display of kinetic art & automata, which is now thriving as one of Warwickshire’s leading tourist attractions. Don’t forget, you can keep up to date with all the latest goings-on at Little Himalaya, by checking out our news page. We are also very active on Facebook, so please have a look at our page, which includes a wealth of information about our salt cave and salt therapy in general, as well as changes to opening times, deals and offers, plus much more. 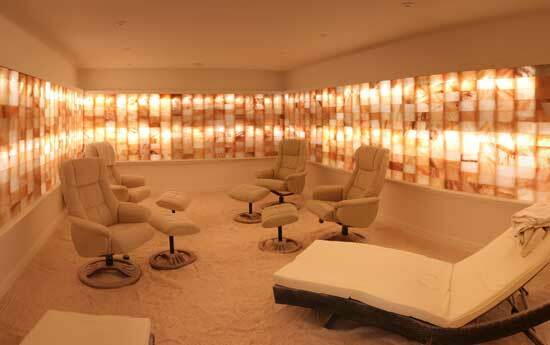 We feature a wide variety of himalayan salt lamps, which can be purchased in our reception area and make for some fantastic decorative lighting. 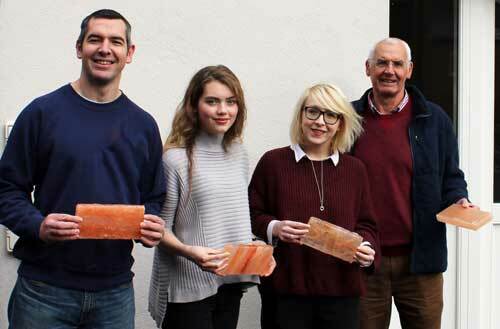 For more information, visit our Himalayan Salt Lamps page. Salt therapy is growing in popularity year-on-year and there are now salt caves in many hundreds of locations around the world. For details of other salt caves both in the UK and further afield, take a look at our salt cave locations page.